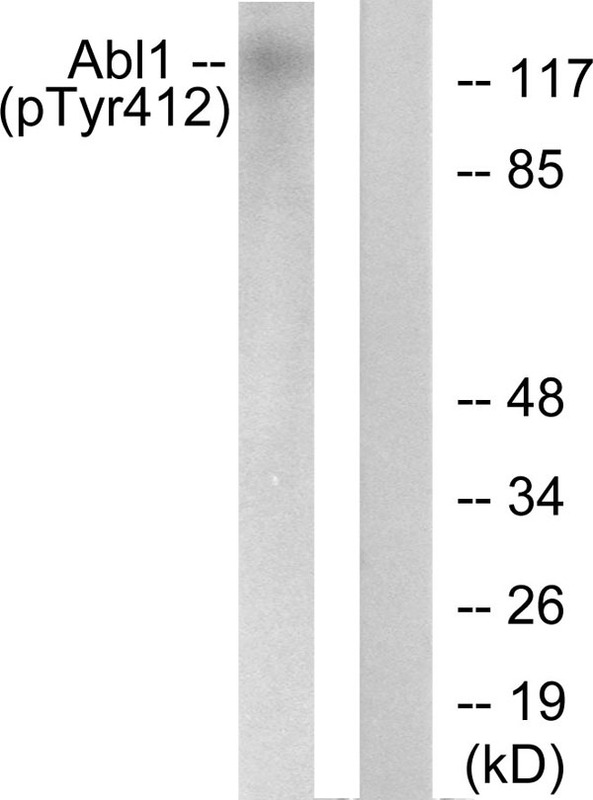 Abl (Phospho-Tyr412) Antibody detects endogenous levels of Abl only when phosphorylated at Tyr412. The antiserum was produced against synthesized peptide derived from human Abl around the phosphorylation site of Tyr412. 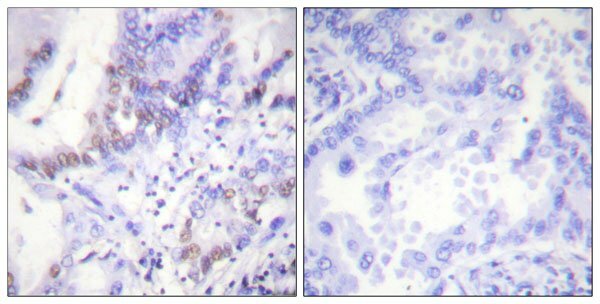 Immunohistochemistry analysis of paraffin-embedded human lung carcinoma, using Abl (Phospho-Tyr412) Antibody. The picture on the right is blocked with the phospho peptide. Western blot analysis of lysates from COS7 cells treated with Adriamycin 0.5ug/ml 24h, using Abl (Phospho-Tyr412) Antibody. The lane on the right is blocked with the phospho peptide.